Amy has been with us for some time now, having originally come to us as a working pupil in 2009. She successfully completed her NVQ in horse care and her HGV NVQ before taking on the role of head girl in 2012. She is a very dedicated member of the team and always puts the horses first. Amy has produced several horses herself over the years at Queenholme, including producing 2 horses of her own successfully up to 2*. Amy currently has two very smart young horses in Inki and Rolo, both of whom she will hope to get out and do a bit on this year. Amy is an incredibly hard-working and dedicated member of the team, doing her best to ensure that the yard is running smoothly. She is the centre of our back-up team behind the scenes and has travelled across Europe to events with Mark and Tanya, including being the travelling groom at both the London 2012 Olympics, Badminton Horse Trials, and the Rio 2016 Olympic Games. Becca has been training with Mark and Tanya since she was 10 and is now a working pupil, and has completed her NVQ. 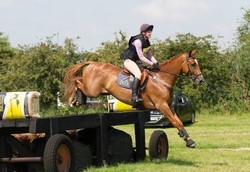 She has a lovely young horse, Cooper G who is competing successfully at novice. He has lots of scope and she is hoping to take him up through the grades. Becca is a fun, bright character on the yard and does an excellent job of looking after the liveries. Becca completed her HGV driving course in 2015 along with her CPC. Becca has recently acquired a new ride in her horse Smoothie. They are hoping to get out eventing this year. Helen has been training with Mark and Tanya since November 2013 and now has 7 horses here with us; ranging from un-backed youngsters to 2*. She is kind and helpful around the yard and enjoys joining the girls out at some of the big 3-days when she can. Helen was the second member of the team at Queenholme to be awarded the Stubbing Court Advanced Apprentice of the Year for 2015, after Kirsty was awarded the title the previous year. She also gained her HGV driving license along with her CPC. She is hoping for another successful 2017 season here with us. Barbara helps with the administrative side of the business and Brian is on hand for any DIY jobs that might be necessary on the yard. They both provide invaluable support to Mark and Tanya and are always there to help. Roy is a Kiwi physio with a gift for interpreting the needs and energies of a horse. He really is invaluable, and has kept Mark and Tanya's horses in good shape for about 12 years. We don't know what we'd do without him! Kirsty is the second in charge. She has been with us since 2012, and has since completed her NVQ Levels 2 & 3 with Stubbing Court Training. In 2014 Kirsty was awarded the Stubbing Court Advanced Apprentice of the Year, and in February this year gained her HGV license along with her Certificate of Professional Competence (CPC). As well as doing the backing of the Queenhome babies along with Amy, Kirsty has also done a great job of producing and selling some horses of her own, including Rossdaragh Top Quality to CCI1*. She is looking forward to competing her own horse Pebbles in his début season of eventing in 2017. Kirsty is a bright and fun character who is always happy to help and is an invaluable member of the team here at Queenholme. She is hard-working and diligent, and has travelled to various events across Europe with Mark and Tanya, including Burghley Horse Trials and the Young Horse Championships at Le Lion. Fiddy has been shoeing Mark and Tanya's horses since 2009. He is a regular fixture on a Monday where he can be found taking over one of the wash boxes to ply his trade. Matthew started the Home Farm Equine practice in 2007 having worked in the area for over 13 years as an equine vet. Matthew combines working in the practice with racecourse duties at Southwell, Nottingham and Towcester. 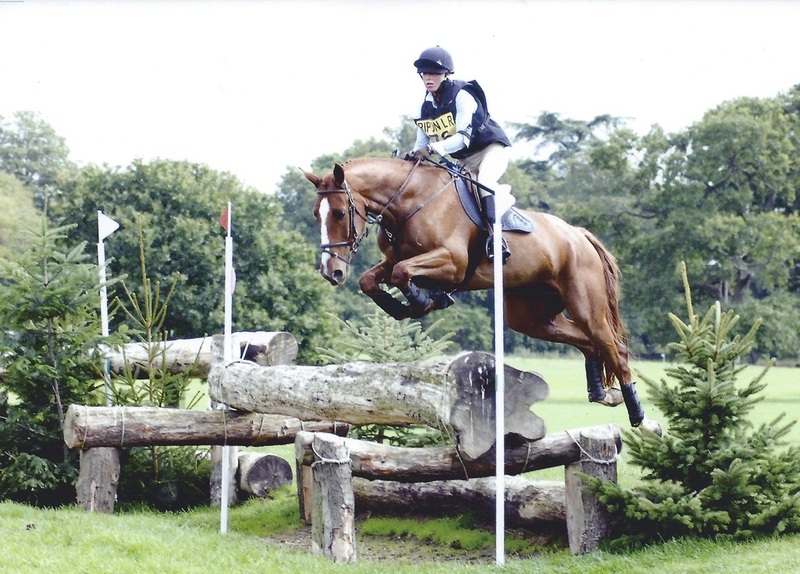 He also takes the role as official vet at numerous BE events, including horse trials such as Belton International, Osberton International and Oasby. Whilst Matthew is used to treating a wide variety of horses and ponies, he has a particular aptitude for sport and competition horses. 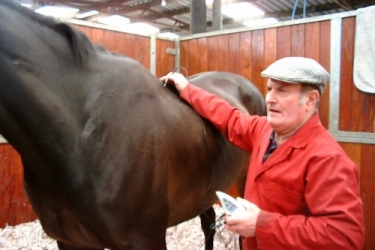 Roy is a complementary health practicioner and has a reputation of being one of the best osteopaths in the country, having world class competition horses on his list. 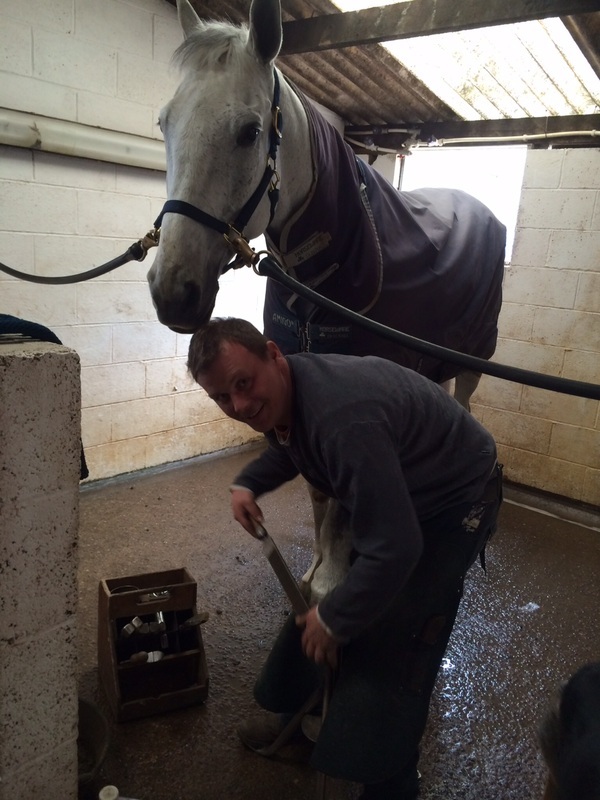 Dean is in charge of looking after all of the horses' teeth to make sure that they are all healthy and fit for work. 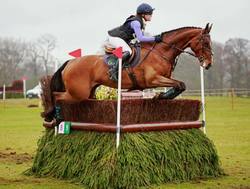 He is also a keen hunter with the Quorn and has three horses stabled at here at Queenholme during the season.